If you have any questions about the WHITE RABBIT ECHO information page below please contact us. This motor yacht WHITE RABBIT ECHO is a superyacht of impressive proportions. 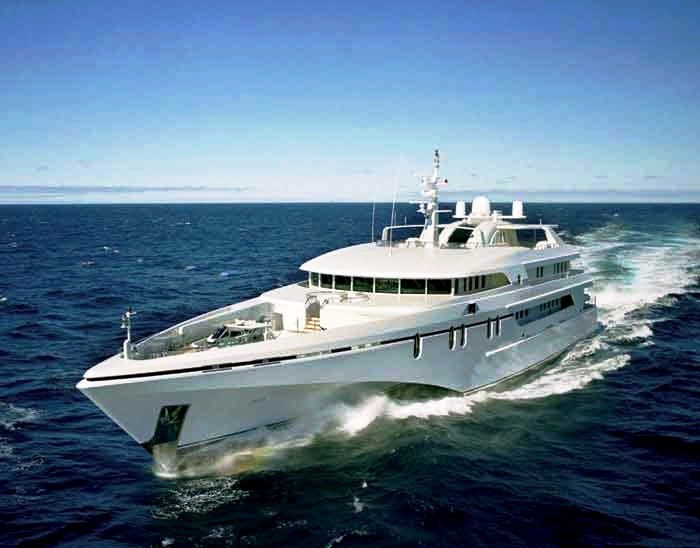 This 61 m (201 foot) luxury yacht was manufactured by North West Bay Ships Pty (Nwbs) in 2005. The yacht is a recent trimaran multihull. Superyacht WHITE RABBIT ECHO is a superb yacht that is able to accommodate a total of 18 guests on board and has approximately 16 crew members. The firm of naval architecture who actualised this yacht's design with respect to this ship is Nwbs Design and Sam Sorgiovanni. Sam Sorgiovanni was also the one who saw out the overall interior design. Luxury Trimmaran WHITE RABBIT ECHO features a generous main and upper deck and her hull provides exceptional sea keeping capabilities and stability at anchor. The stability is enhanced by an active multi foil ride control system, installed above the keel line of the vessel. 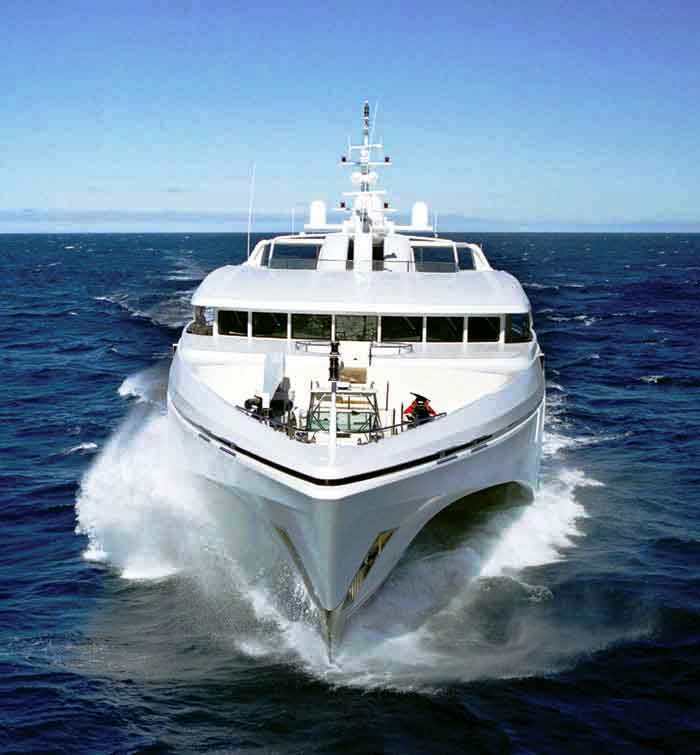 Initially developed as efficient passenger ferries, the Trimaran hull form offers excellent advantages for Superyachts in comparison to conventional monohull vessels. The yacht's general design work came from Nwbs Design and Sam Sorgiovanni. The technical naval architecture plans are a products of Nwbs Design. 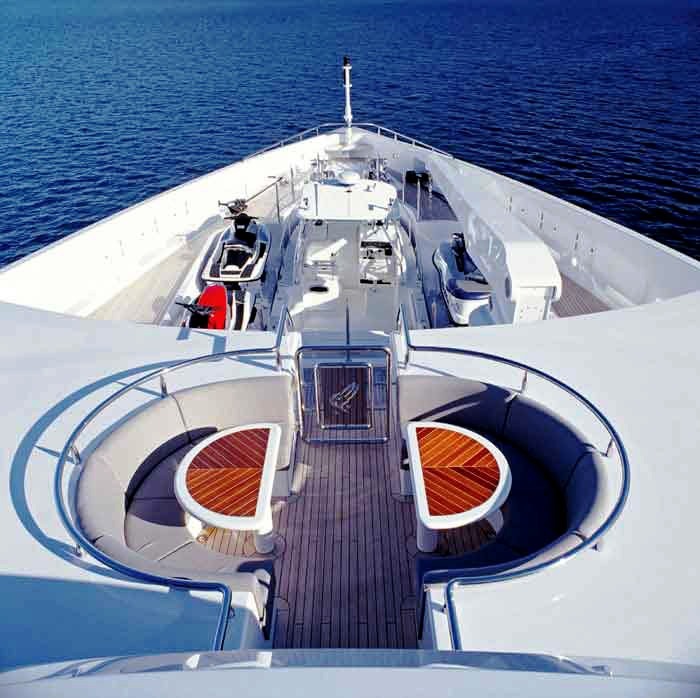 Motor Yacht WHITE RABBIT ECHO received her stylish interior designing from the interior design company of Sam Sorgiovanni. In 2005 she was actually launched with celebration in Hobart Tas and post sea trials and final completion was then passed on to the new owner. North West Bay Ships Pty (Nwbs) completed their new build motor yacht in Australia. A impressive feeling is manifested with a maximum beam (width) of 15.4 m / 50.52 ft. With a 3m (9.84ft) draught (maximum depth) she is reasonably deep. The material aluminium was used in the building of the hull of the motor yacht. Her superstructure above deck is fashioned from aluminium. The motor yacht makes use of twin responsive CATERPILLAR main engine(s) and can reach a industrious speed of approximately 19 knots. The main engine of the WHITE RABBIT ECHO creates 2098 horse power (or 1566 kilowatts). Her total HP is 4196 HP and her total Kilowatts are 3132. Connected to her Caterpillar engine(s) are twin screw propellers (5 blades). 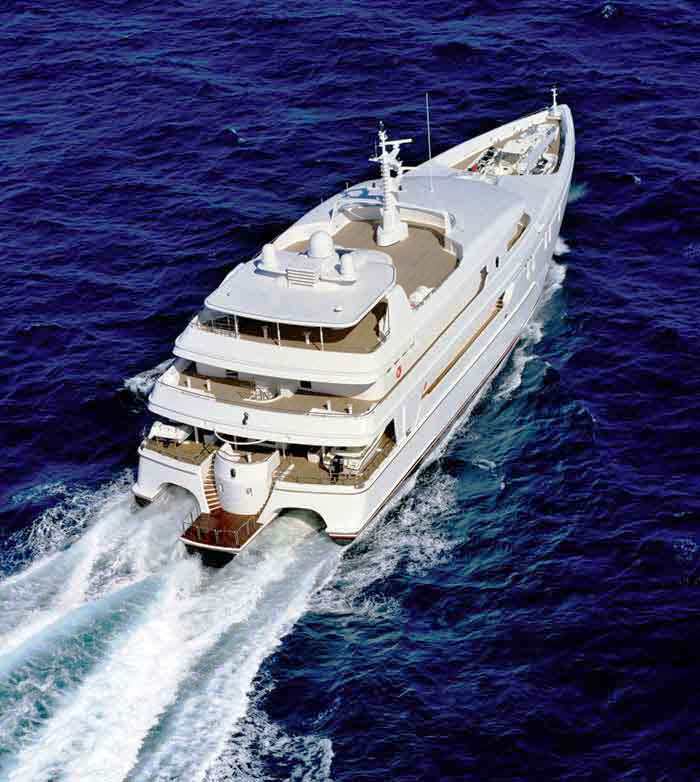 This yacht’s energetic cruise speed is 16 knots which enables a range of 5000. Bestowing cabins for a maximum of 18 welcome guests overnighting, the WHITE RABBIT ECHO accommodates them in style. Under normal conditions she carries circa 16 able qualified crew to run. 61.4 metres / 201.44 feet. Her Engine(s) is two 2098 Horse Power / 1566 kW Caterpillar. The Model type is 3512B DITA diesel. Her top Speed is around 19 nautical miles per hour. Range in nautical Miles is 5000 at a speed of 16 knots. Heinen & Hopman is the firm that made the air conditioning . The luxury yacht WHITE RABBIT ECHO displayed on this page is merely informational and she is not necessarily available for yacht charter or for sale, nor is she represented or marketed in anyway by CharterWorld. This web page and the superyacht information contained herein is not contractual. All yacht specifications and informations are displayed in good faith but CharterWorld does not warrant or assume any legal liability or responsibility for the current accuracy, completeness, validity, or usefulness of any superyacht information and/or images displayed. All boat information is subject to change without prior notice and may not be current.